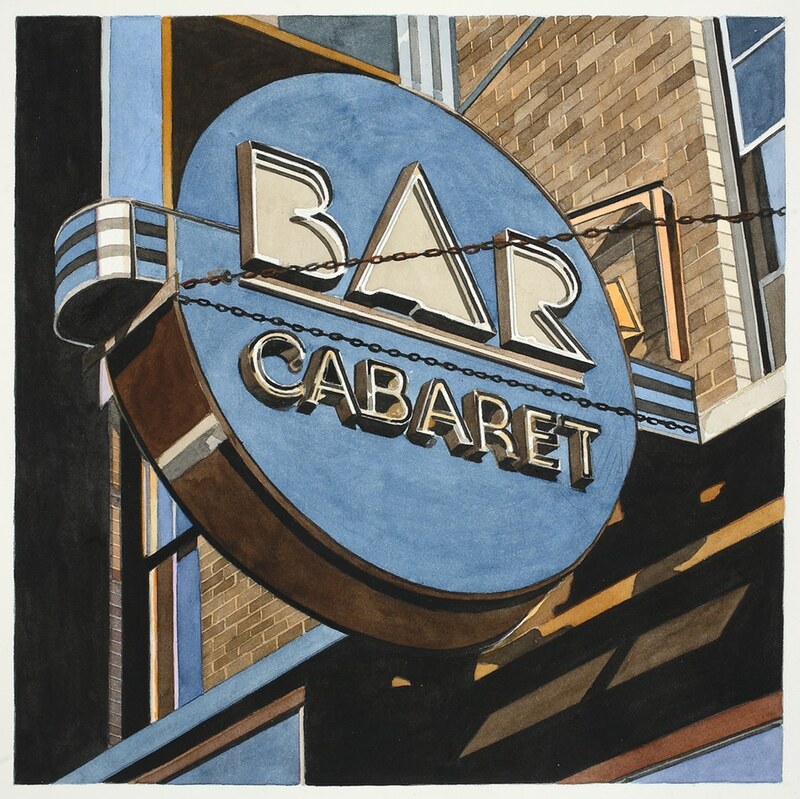 Robert Cottingham (born 1935) is an American Photorealist painter and printmaker. 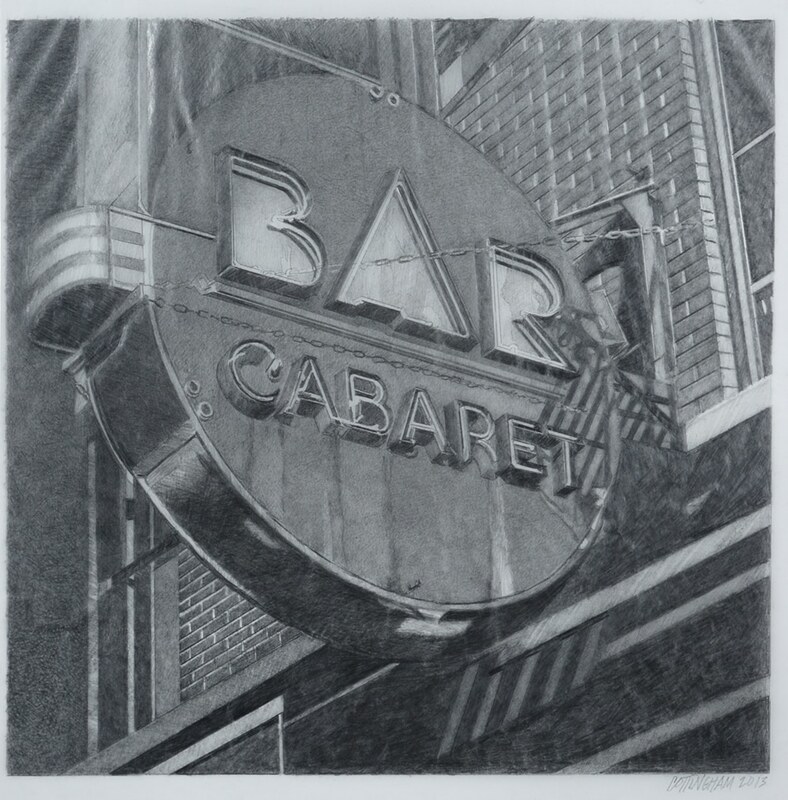 He is regarded as one of the seminal figures of the Photorealist movement. Cottingham’s technical expertise and tightly cropped subject matter result in compositions that oscillate between the abstract and the iconic. 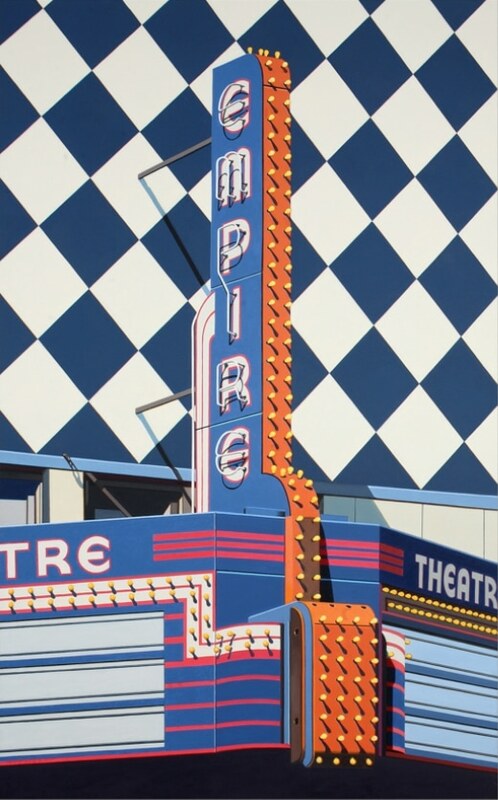 Cottingham’s depictions of vintage signs, neon lights, and storefronts have a documentary quality that evokes the optimistic promise of modernism—a notion that has been fascinatingly complicated by the collective hindsight of the twenty-first century. Robert Cottingham was born in Brooklyn, New York in 1935. He studied graphic design and advertising at the Pratt Institute from 1959–1963. While maintaining a career in advertising, Cottingham taught himself to paint in any spare time he could find: evenings, weekends, and even vacations. Although he started painting at 28, his early works demonstrate a high degree of finish. By 1968, with three exhibitions in Los Angeles, Cottingham finally decided to dedicate himself solely to art. Although Cottingham lived abroad while stationed with the U.S. Army in Orleans, France from 1955­–1958 and in London from 1972–1978, he has always focused on the depiction of American iconography. While living in London, Cottingham received a grant from the National Endowment for the Arts in 1974. 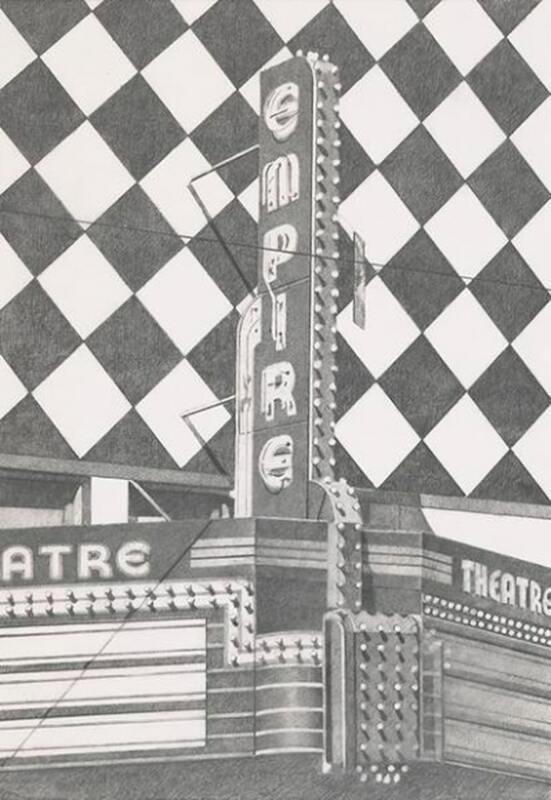 Cottingham served as an artist in residence at the Marie Walsh Sharpe Art Foundation in Colorado Springs in 1994 as well as the Center for Creative Youth in Middletown, Connecticut in 1987–1992. He also taught at the National Academy of Design in New York City in 1991 and the Art Center College of Design in Los Angeles, California in 1969 and 1970. Cottingham received a retrospective exhibition at the Smithsonian American Art Museum in 1998. In 2000 he joined the council of the National Academy of Design in New York City and currently sits on the Board of Directors for the Aldrich Museum of Contemporary Art in Ridgefield, Connecticut. “Starting in 2004, I produced numerous drawings and paintings based on images I had found in an old engineering textbook. I had been intrigued by mechanical drawings ever since my years at Brooklyn Technical High School, and these images quickly became the basis of an eight-year series that I titled COMPONENTS. While most of these objects can be defined as machine parts, their individual functions are not always so apparent. It was this ambiguity that drew me to them. Each became the central issue of its own painting, identifiable as a three dimensional object but with no clear indication of its purpose. Citation: Bernarducci, Frank, Harris, Elizabeth K., and Meisel, Louis K. Photorealism in the Digital Age. New York: Harry N. Abrams, Inc., Publishers, 2013. 1998/99 – “Eyeing America: Robert Cottingham Prints,” National Museum of American Art, Smithsonian Institution, Washington, D.C.
1989 – Fendrick Gallery, Washington, D.C.
1988 – Fendrick Gallery, Washington, D.C.